The Cricket and I were in our neighborhood today and had some time to burn before our bi-weekly construction meeting. April is month ten of our nine-month renovation. So we are not yet in our home – our time in the neighborhood was merely a visit. But what better place to visit on a beautiful Chicago day than the park! 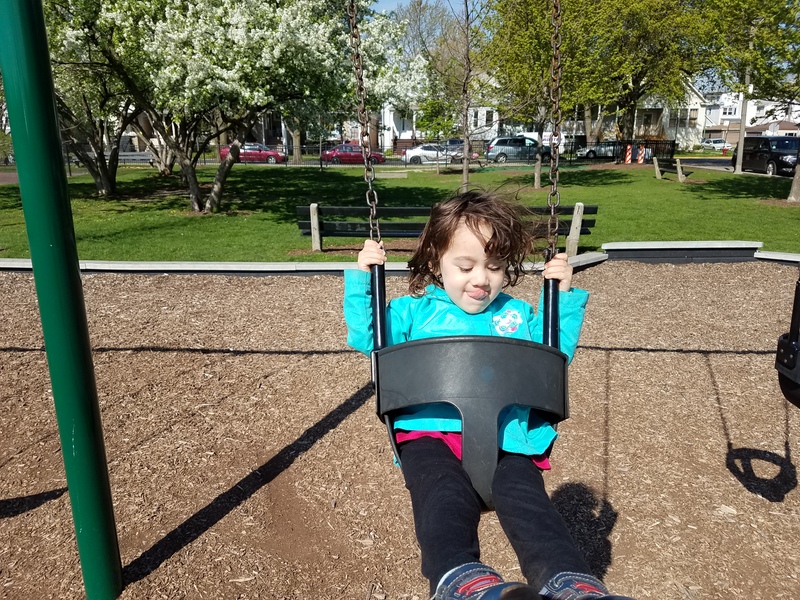 Our home park is Kilbourn Park (for you locals or vistors). And while it is not as big as McKinley Park, the area where we are currently staying, it is ours. 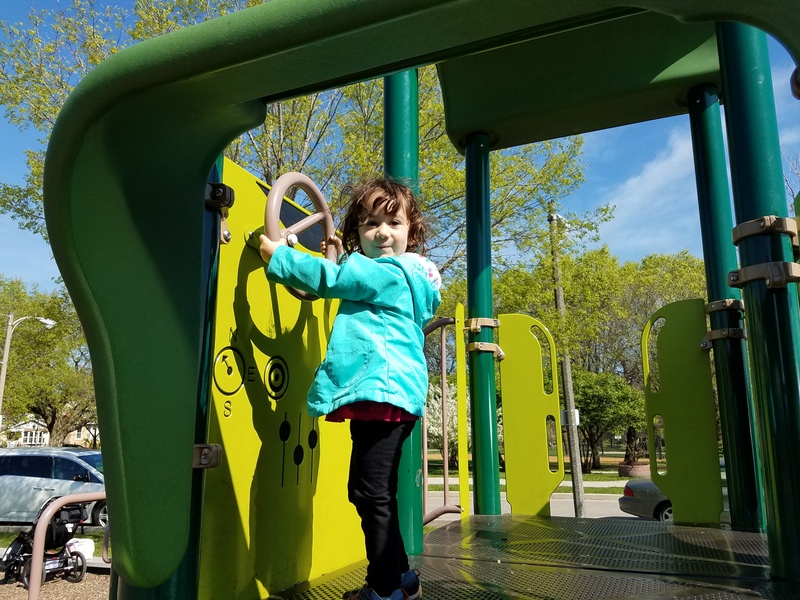 Cricket is getting more familiar with the playground and should be able to enjoy playing there this summer. And again, while it may not be the biggest park, it has the important stuff. Slides, which I like, and swings, which the girls love. Kilbourn Park also has baseball diamonds, soccer cage, basketball courts, tennis courts, a fieldhouse – the works. One of the coolest features is the greenhouse and community garden. I think it might be the only park in the city with a greenhouse. Just one more thing to miss about home. Especially on a sunny, mid-seventies Chicago Spring day like today. And the construction meeting? It went well. We’re behind but there’s progress. So we visit for now and look forward to being home soon.